Earlier this week, LAS' sister LKS asked me to help her find a special engagement gift for one of her best friends. Always up for a gift-ing challenge (little known fact about EHK: Must have THE best gift at any shower or party I attend...I know. A little psycho. ), I immediately got to work scouring the internet for the latest and greatest. Since I accumulated a nice little collection I though it would be a great post for those of you looking for engagement or wedding gifts. 1. Ring Dish from Say Your Piece via Etsy. A whopping $10!! Hello budget friendly. And there is the option to personalize...an option I would indulge in of course, but its cute without too and at $10 can't. be. beat. 3. While I personally don't think you should wear/use things with your new monogram prior to the wedding, I think a robe like this with Future Mrs. Smith on the breast pocket would be a cute gift for certain brides. 4. Another gift I've personally given to a special engaged couple. This image does not do the frame justice. Marye Kelley Decoupage creates the most beautiful decoupage frames, coasters, wastebaskets, etc. We sell their items in the boutique I work at and they are gorgeous! 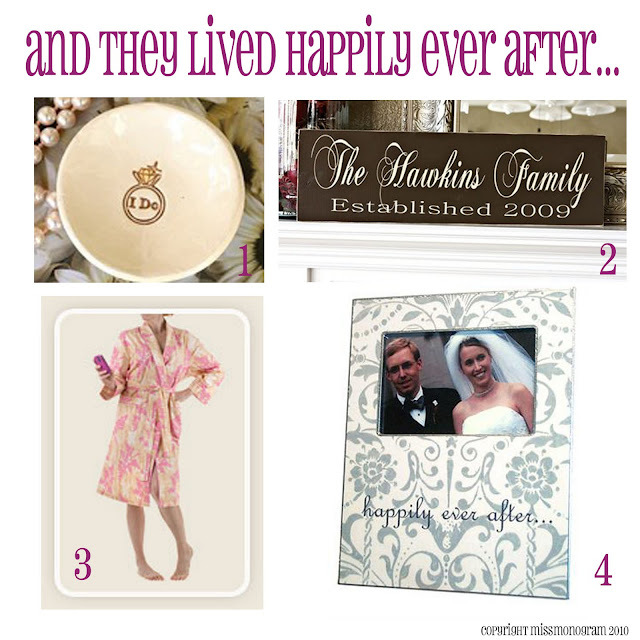 They are completely customizable so while I love the Happily Ever After, there is also "From This Day Forward" and you could even put the couple's names, last name or married monogram. And there are TONS of patterns to choose from! I love this! That ring bowl is adorable and the price can't be beat! 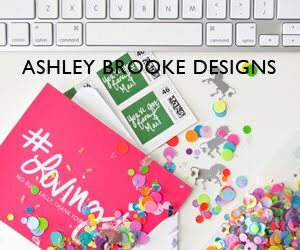 Just yesterday I was on JHillDesign.com ... they've got these great posters that you can personalize. I think it would be a great idea if their honeymoon location was an option! What great ideas! I'm pretty sure we are giving number 2 to Jeremy's sister for her wedding! It's just too cute and personal to pass up! Hey its really helpful, I have bookmarked this page and will definitely go through this when i have to give a special eengagement gift.